Star was attacked and left to die at a Houston junkyard. On Wednesday, Star was transported out of the Harris County Animal Shelter to a specialized emergency veterinary hospital for life-saving medical care. Rescue Dogs Rock NYC, a non-profit animal advocacy and rescue organization responded immediately to Star’s medical crisis. “…what critical condition she is in right now and she is fighting for her life,” explained Stacey Silverstein, co-founder of the rescue group. “She is in shock and cannot lift her head and she’s completely paralyzed at this moment. No one knows what really happened to Star. 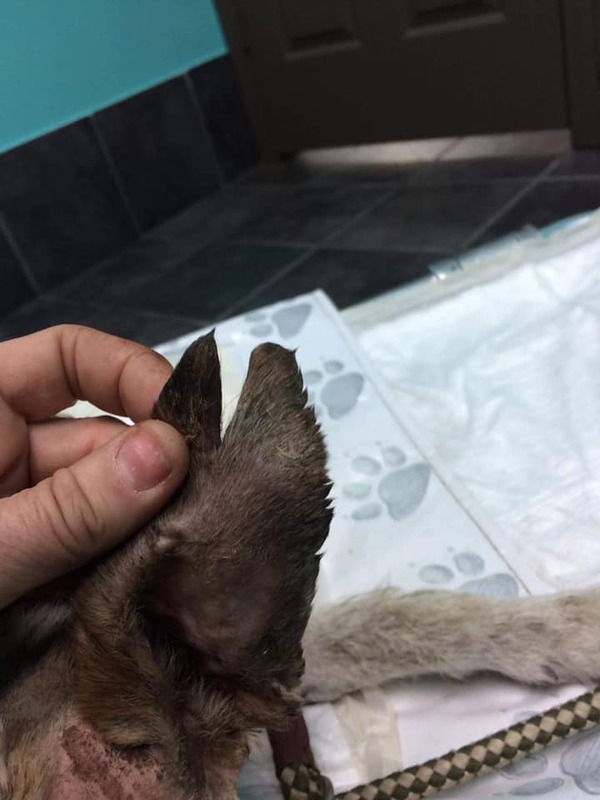 Radiographs are currently being completed to understand why she is not able to walk. 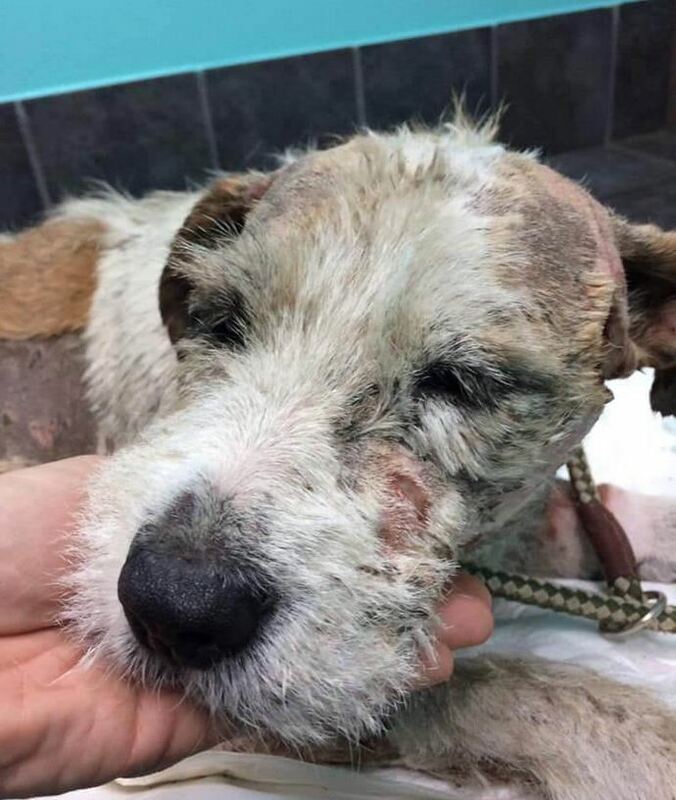 When Star arrived at the veterinary hospital, she was completely encrusted in dirt – showing how she had existed in pure misery for an extended period of time. “Her life has been one of complete torment and pain. Her eyes show us such sadness it’s heartbreaking. We cannot understand how and why this beautiful dog existed like this and how severely attacked, fighting for her life,” Stacey continued. It is possible Star is pregnant, although that has not been confirmed. At this time, she is under 24-hour care, is receiving a blood transfusion, pain management, intravenous fluids, wound and bandage care. Please help this very deserving soul get the expert medical care she needs and deserves.